does not support combustion, can be applied to high temperature environment. movement, and the aluminum punching baffle ceiling is more upright Somatosensory and dynamic. powdering, non fading, to ensure the long life of aluminum square. empty slot installation, but add sense of beauty to the original aluminum baffle ceiling. 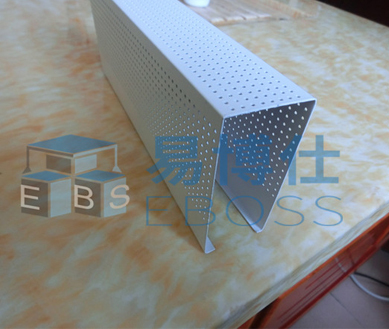 elements in the space style punching neatly, let aluminum baffle ceiling in the visual has made a new progress.